When a night-out is over and you are getting the munchies, there is only one thing that you can do: get a kebab. 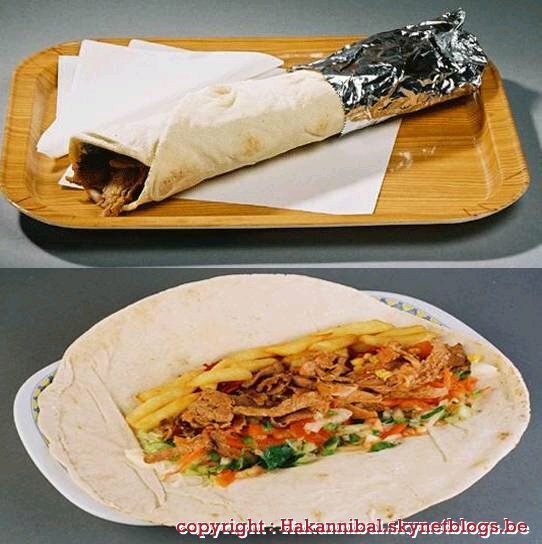 Recently, kebab became one of the most (if not the most) favourite take-away, not only in Europe, but in the whole world. It is as popular as pizza and hamburgers! But before taking its modern form, the “döner” used to be a horizontal rather than vertical stack of meat, dating back as early as Aristotle’s time. Originally from Turkey, it was exclusively halal lamb meat chopped finely, filled into either lavash or crispy thick bread and topped with few sauces and vegetables. It later spread all over the Eastern Mediterranean region and nowadays, a large number of Middle Eastern States and some countries like Greece and Cyprus (even though they prefer pork) have a national dish similar to “döner kebab” (or “rotating roast” in modern Turkish). Germany is the place where it all started. 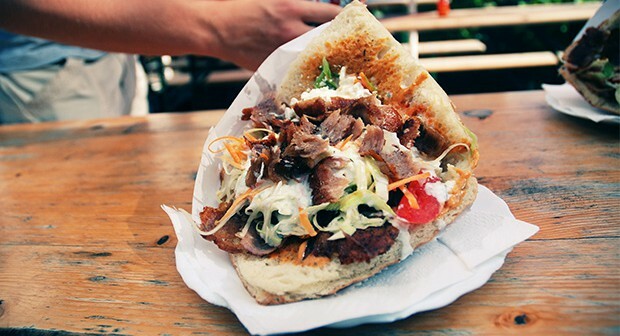 Introduced by Turkish immigrants in the 60’s, the ‘Döner’ soon became one of Germany’s most popular fast food dishes. The version that was developed to suit Germans tastes varies quite drastically from the original Turkish version. Veal, chicken and turkey are widely used instead of lamb. Along with the meat in kebabs shop, you will mostly get lettuce, cabbage, onions, cucumber, and tomatoes, but also sauces like hot sauce, herb sauce, garlic sauce, or yogurt sauce, served all together in a thick toasted flatbread. Particularity: döner kebabs are so popular that it is now possible to find vegetarian kebab. Thanks to conspicuous Moroccan and Turkish communities, döner kebab is a popular dish since the late 80’s. The meat mostly served is chicken and veal. Many different sauces are typically offered, including aioli, cocktail sauce, andalouse sauce or curry ketchup to meet the taste of locals. The variety of meat served is similar to that of Germany, though they often use pita bread instead. Bear in mind that in the European Capital, “dürüm” are more popular than the original döner kebab. Particularity: in the land of mitraillette (a demi-baguette filled with sausage, fries, vegetables and a variety of sauces), dürüms are very often served with fries (never say French fries) as a condiment. Döner kebab, thanks to a growing Moroccan community, appeared first in the 90’s. 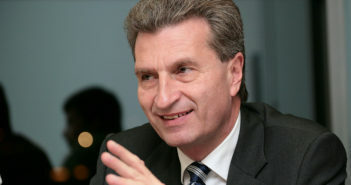 Nowadays is very popular in Italy, especially among young people, including students and bar-goers in all major cities. It is usually called simply “kebab”. The most common toppings are cabbage, lettuce, tomato, onions, hot pepper relish, spiced yogurt, tzatziki and harissa sauce. Other common toppings include mayonnaise, ketchup, and fries. Particularity: if you ask for a “kebab completo”, you will end up with all the toppings. In Andalusia, kebabs are eaten since the Middle Age. Döner kebabs are usually served with chicken or veal (lamb being popular) and with salad, tomatoes, onions, olives and peppers, just to mention some. 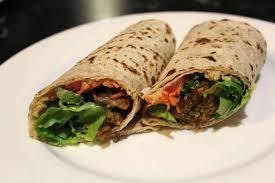 Falafel and fried eggs are typical additions to a kebab. Particularity: in this corner of Europe, the most common name is “shawarma” (which is the equivalent Arabic word for Kebab), this is a testimony of the Arabic cultural legacy in Spain. Most of kebab shops (themselves simply known as kebabs) are generally run by Turkish or North African immigrants. The basic kebab consists of either “pain de maison” which is the Turkish soft bread, or “pain arabe” which is the unleavened flatbread, stuffed with grilled lamb, onions and lettuce, with a choice of sauce from “sauce blanche” to harissa. Here too, like in Belgium, you can find kebabs served with fries. 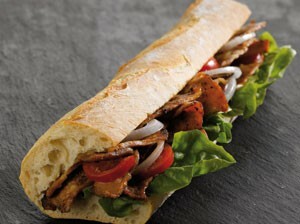 Particularity: it is not uncommon to eat döner kebab stuffed into a French baguette. 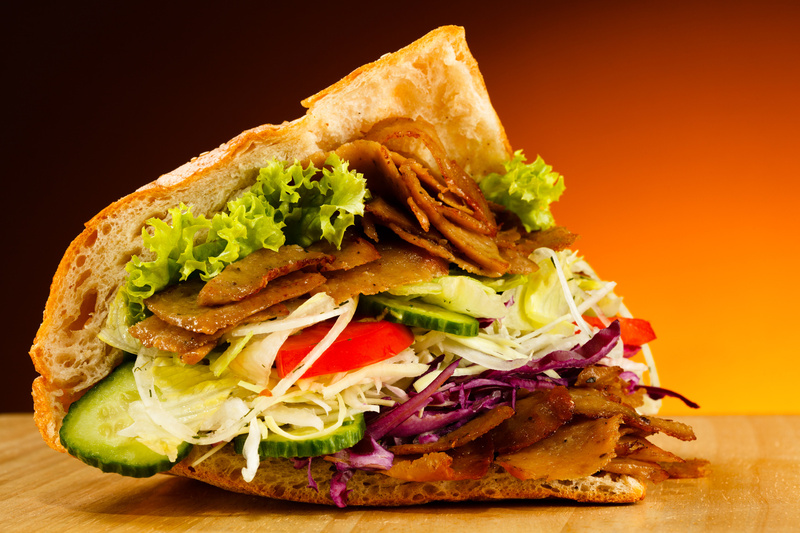 The Turkish döner kebab has become a real export hit, and has adapted to the different tastes and preferences of its European consumers. A great example of cultural and culinary mélange. What is your favourite kebab version?